Remember when Hillary Clinton claimed she and Bill were "dead broke" when they left the White House? Hey, I know this will startle you, but it turns out that's a bunch of crap. Because even before they left the White House, the Clinton had purchased both a "...a five-bedroom home in Chappaqua, N.Y., for $1.7 million [and] a seven-bedroom house near Embassy Row in Washington, D.C. [for] $2.85 million." With that said, Hillary's long litany of lies don't disqualify her for the presidency. And the Obama administration has swept her felonious mishandling of classified government documents under the rug. So those technically don't disqualify her. But the Clinton Foundation and the Clintons' methods of enriching themselves do. The mainstream media, with a few exceptions such as the New York Times, have failed to see the foundation as a target for investigative reporting. But Peter Schweizer, in his 2015 book Clinton Cash, examined the foundation and discovered how it allowed the Clintons to make foreign policy pay. Donate to the foundation or give Bill Clinton an exorbitant fee for a speech and good things often happened. 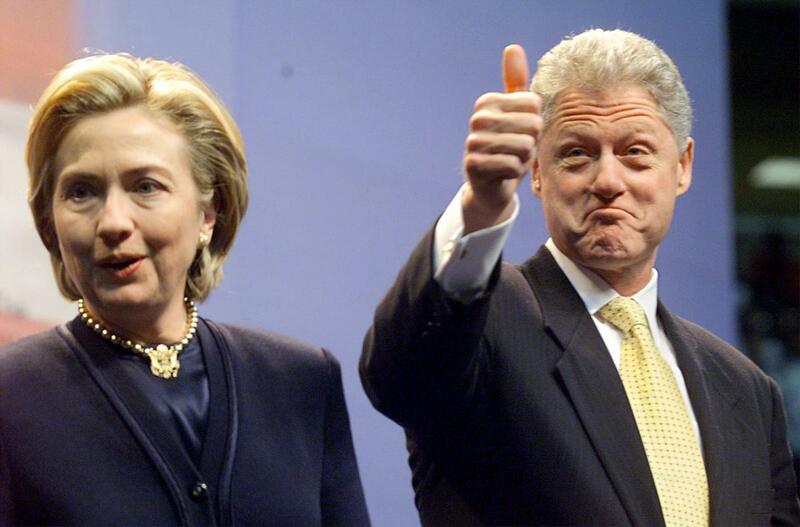 According to Forbes, Bill and Hillary Clinton made $229,319,855 between 2001 and 2014. The Clintons created a structure whereby foreign governments, businesses, and financiers could buy access to American politicians, Schweizer says. "Foreign entities are prohibited by federal law from giving to political campaigns and super-PACs. But with the Clinton Foundation and speaking fees, foreign entities can sidestep what has been a longtime consensus point in American politics." That point: American foreign policy isn't like politics, where campaign donations buy access and favors. With the Clintons, foreign policy is politics by other means. When his wife became secretary of state, Bill Clinton's speaking fees skyrocketed. He gave two speeches in Nigeria at $700,000 apiece. He was paid $750,000 by Ericsson, the Swedish telecom company, for a speech in Hong Kong. He gave 13 speeches for more than $500,000 a pop from the time he stepped down as president in 2001 to the day his wife left as secretary of state in 2013. Eleven of them occurred while she was in office, Schweizer found. PolitiFact confirmed his numbers and speech dates. The examples of the Clintons' remunerating themselves with help from holding high office are numerous. He got $16.5 million from Laureate International Universities, the parent company of an online diploma mill, as honorary chancellor for five years. Laureate Education Inc. got $55 million in State Department grants. The Clintons benefited from deals in Russia, India, Colombia, and Africa. At least Bill Clinton did. Fred Barnes put it succinctly: "Hillary Clinton is the most corrupt person ever to get this close to becoming president of the United States." Read more at "Yup, She's Crooked."